At Outsource2india, our customers have always come first. For over 20 years, we have been serving over 11190 customers across 221 countries with innovative outsourcing solutions. Unlike other companies, Outsource2india have the ability to 'manage an entire outsourcing venture' for both large and small companies, and provide them with hassle-free outsourcing experience. The following customer testimonials vouch for our management skills, our timely deliveries, the high-quality of our work and our ability to create value in outsourcing ventures. Read O2I's Case Studies to discover more about how our customers have benefited from our services. *Note - O2I is sensitive to customer information and have therefore not provided certain customer names. I have been using Outsource2india for the telemarketing service for the past few months, and have always been completely satisfied. They do an excellent job, are always punctual, and offer the most competitive rates. Outsource2india.com and Flatworld Solutions get great results! Their team is efficient and professional and has helped me to grow my business tenfold! Although our initial interest was mainly based on cost (Outsource2india was less than half the price of U.S. vendors) we have found the company to be highly competent and flexible. Based on our experiences to date, I would not hesitate to recommend them to another company. We have worked with Outsource2india on various projects, and find that they provide quality service and expertise for our programming needs. The services that Outsource2india provided helped us achieve substantial cost and time savings on several difficult projects. Their prompt attention to our requests and attention to detail are excellent.quotes-right. 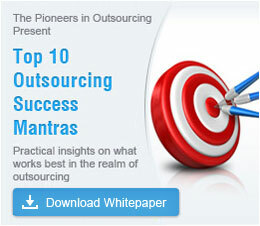 Why become an Outsource2india customer? We have global delivery centers spread across India, Philippines, Kenya, Bolivia, US and Colombia. Join the ranks of our satisfied customers by outsourcing to O2I. Sign up for O2I's Free Trial Programs to assess our service delivery.